→Why You May Not Have A Great Marriage. I have done a bit of personal reflection on this question – not just for my sake but also because of what I see around me. There is no guarantee for a great marriage. I was talking with a young man who had been married for less than 3 years and he retorted – “why does it seem that I have to endure a hard marriage?” The bliss of marriage seems to be a phantom he is ever chasing but never catching. I can’t say I have it down but let me share a bit of what I am still learning from my less than 8 years of marriage. There is no guarantee for a great marriage. Yep, I’ve said it. If you don’t believe it – well, I can’t really change your mind. I just hope you will bear with me and read for a few more minutes. I bet you have seen so many articles on “steps to a great marriage”, “keys to a great marriage”, “recipe for a great marriage” and so much more. I am not saying they got it wrong – I just think we may be running at marriage from a faulty premise. 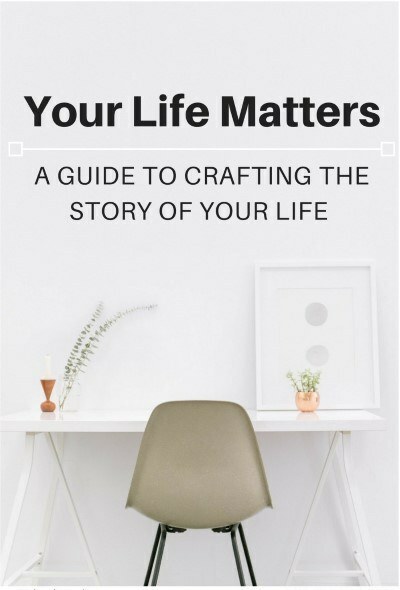 The faulty premise is that there is an actual master key that guarantees that we will get the happily ever after we have always envisaged from a marriage. So, does that mean that marriage is a lottery you get into without any certainty of success? Nope, but what it really depends on your perspective of life. I like to see marriage as an adventure that we courageously go into with anticipation of boons as we conquer new territories. The territories are the new levels of service we offer to our partner in the marriage. The thrill of the adventure should be to offer more and more with every passing day. Satisfaction should come from knowing that we gave ourselves completely to our partners. And the boons? Bonus along the adventure. In case you don’t still get my point of view, let me spin it another way. A great marriage is not the goal unless a great marriage means you have served your partner to the best of your abilities. 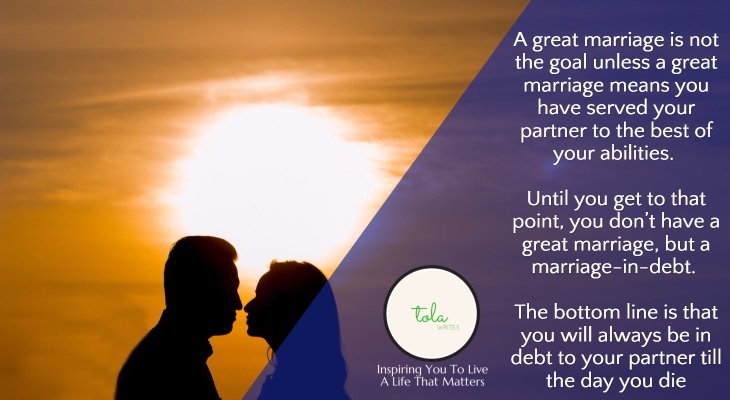 Until you get to that point, you don’t have a great marriage, but a marriage-in-debt. Don’t think I am a pessimist on marriage. I love being married and I always thank God for my wife. She is really God’s gift to me. 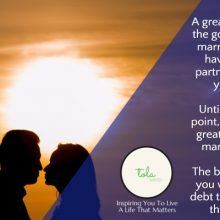 I don’t want to add to the list of steps, keys or recipes for marriage but I did like to share my perspective of how you can pay your marriage debt every day. There was a night that I went out for a walk after the family had gone to bed. The walk was not for pleasure – I was not happy. I felt my wife was not treating me fairly (don’t we married folks all have these moments). So, I went for a walk to pray or rant at God. When I took a pause, I reminded of this text – Husbands, love your wives, just as Christ loved the church and gave himself up for her (Eph 5:25). This was God’s marriage vow for me. It didn’t matter what she was doing or not doing, God was focused on my role. My job was to live out God’s marriage vow and leave the rest to Him. Love my wife and get out of “getting my way” every day – even when I feel I deserve it. Literally, kill my ego, put her best interests first and not hold on to any rights I think I have. Just like Jesus. Every time your partner lives out his or her marriage vow should be appreciated. It is not a right you demand – it is a blessing you receive. You will only do this right if you view your partner as serving God first by living out his or her Godly marriage vows. So, by serving God, they are blessing you. This will create a grateful heart in you-you will appreciate God and your partner for every blessing you get from your partner. I have to say “thank you” even for stuff I feel she should be doing as a wife. She doesn’t owe it to me so I have to let her know that it means the world to me that she is doing it. Back to the story of the pastor, I started with. The only thing the tests said he and his wife agreed on was the supremacy of the Bible. According to him, having and living out this one agreement has covered for any incompatibility gap. To extend that thought further, I don’t think it is just the agreement on the supremacy of the bible but rather living life by the principles of the Bible. Happiness may not be the goal but a heaven-centered marriage brings more happiness in the end game. That is what I want to aim for. A marriage lived in the light of heaven. A heaven-centered marriage is the ultimate example of a great marriage. Makes me look forward to doing life with my husband!! For me, my simple principle is to say to ‘yes sir’ to my husband. It doesn’t mean I don’t sometimes have differing views but I now know to channel those views/requests/opinions with respect. Once I understood that as a child of God, I had no option but to obey God’s command to submit and honour my husband, my life changed drastically. I am not there yet I keep on getting better each day as I follow Christ’s leading in my marriage. ….and the wife [must see to it] that she respects and delights in her husband [that she notices him and prefers him and treats him with loving concern, treasuring him, honoring him, and holding him dear].